We’ve been experimenting with using simple Google Maps to share information about Ice Age finds held in Sussex museums. This initial trial map takes all the known positions for finds of Pleistocene fauna and a selection of stone tools photographed by Lisa Fisher from the collections of the Sussex Archaeological Society. To produce a definitive map and set of useful linked images would be a considerable and expensive undertaking. But the value of such a map is demonstrating how widespread, and potentially local to where people live, finds of the distant Ice Age area and then unlocking the stories of landscape and environmental change, discovery and analysis which come along with each mammoth tooth or ancient stone tool. I’d been thinking for a long time, how to translate those thoughts you acquire over the years about a subject into something vaguely coherent. As a student I was always wowed by the moments where some writers, in a book or paper, were able to open up clearly how they saw the archaeological record, but there never seems space in modern academic writing to do that. Last year I was given the opportunity to write something for the Journal Lithics and came up with 23 statements on how I think about stone tools and how I think we should approach them. Of course these statements didn’t come from nowhere and owe a huge amount to those colleagues who over the years who have talked these ideas through with me in the pub or in the field. But this also comes from many conversations with students where I’ve tried to get them to think about what stone tools can and can’t tell us, and how we might develop a better understanding of the past from them. The questions they’ve asked back of me, helped to break a big subject down into manageable ideas. Anyway, for better or worse, here’s a link to my 23 Propositions. Any feedback of course hugely welcome! Pope, M.I. (2016). Twenty-Three Propositions for Stone Artefact Studies.Lithics, 36 65-66. Agency is all very well, but sometimes pulling the focus back can tell us some interesting things about human behavior. 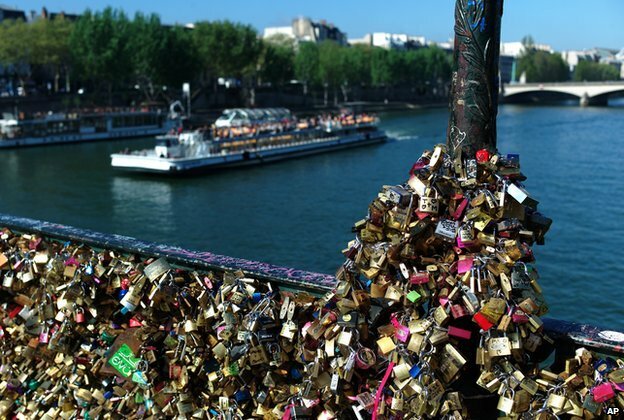 The BBC story below, on the phenomena of love-locks, interested me as it’s a great example of how human behavior can feedback on itself and create really interesting signatures in human landscapes. I’m interested in how we define and interpret ‘place’ in really early prehistory and in my PhD research looked at assemblages dominated by huge number of bifaces; large stone cutting tools that occur in their hundreds or thousands at certain places. 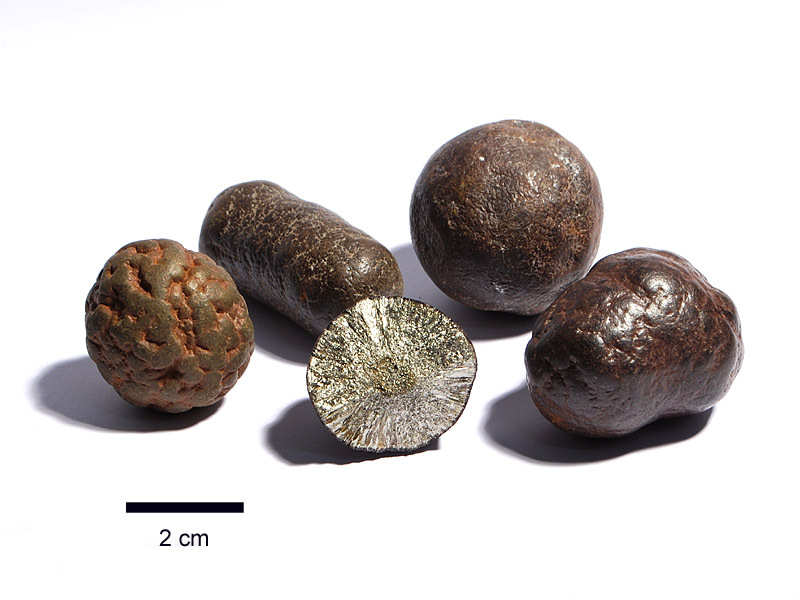 I suggested their presence in such large numbers at certain places could be indicative of systems of structured transport and discard, with pre-existing biface clusters actively cueing more discard of similar material. Where people put their bags and coats on the floor at parties or conference receptions. Where people discard trash when there isn’t a bin. The tossing of coins in fountains or ponds. In each case someone had to be the first to toss a coin in the pond, place an empty drinks can on a window sill or lay a bunch of flowers. But the presence of that object changes the landscape dynamic, and other will cognitively engage (largely unconsciously) and modify their behavior accordingly. In the case of coins deposition, we don’t even live in a society where we actively believe in votive deposition. Interestingly, the practise has become largely externalized and encoded into the landscape by people discarding their money, initially on an individual, spontaneous basis, but then cueing watery discard to a hugely amplified degree. The placing of locks on bridges has no deep roots as a behavior or explicit body of belief behind it. However, the visibility, emotional charge and built-in permanence of the landscape signature left by the behavior is obvious. It would lead you predict that they have the capability to create a profound level of engagement from people encountering these assemblages; leading, over time, to a very amplified landscape signature. I still feel understanding the nature of these feedback mechanisms and their role in structuring human behavior at landscapes scales is an interesting approach to considering how we self-organize in complex ways as a species. When it comes to understanding individual behavior, or those of small groups, it cautions us against placing too much emphasis on what is going on in the individual’s mind. It might point the way to understanding the human hive and the fundamental stigmergic, viral behaviors and material structures it’s built upon. Tagged as stigmery, trash, viral behaviour. It’s been a while since I’ve written anything here but I’ve been pretty much on pause , thinking about objects in landscape, how we react and interact to them, how we hang and project memories and concepts onto them, how we enculture them. In my last post I introduced the idea of ‘gravity’ as a concept to explain how singular features in landscapes entrain our awareness in orbits of attention and interaction. Each individual’s orbit, following broadly the same law of cognitive gravity, will ultimately coincide with those of others, overprinting paths of attention and thus amplification of the significance of the feature. This in turn increases the singularity’s gravitational pull. 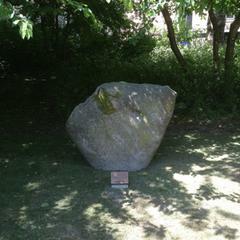 Last summer I talked obliquely about stones, both natural erratics and humanly placed megaliths, which both in the past, and through to the present, exercised a pull on individual awareness and collective culture. But the past month I’ve been thinking about hills. 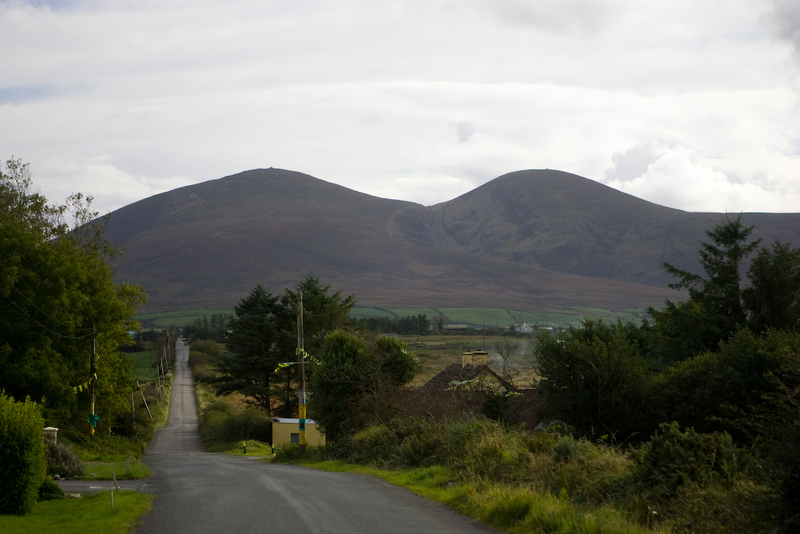 Not long ranges of rolling hills or dramatic escarpments, but isolated, distinctive hills. Less imposing and dramatic than a single mountain peak, mesa or volcano, but contrasting with surrounding low relief landscapes and visible on the horizon at distances of 10 or 20 miles. The sort of thing quite rarely encountered in nature but which populate our imagination as type of archetype, such a child might draw if asked to crayon a ‘hill’ onto blank white paper. How do these topographic features play out in the dynamics of our evolutionary psychogeography? how can we start to define the gravitational relationship between human consciousness and these features? On Good Friday we don’t have to think to far for a relevant example of a hill with enormous cultural gravity, albeit one we can’t actually demonstrate ever existed. From Early Medieval times, Good Friday was day the collective Christian imagination was firmly focused on the hill of Golgotha, the site of crucifixion. Now it doesn’t matter that Jerusalem’s 1st Century execution has never been formally identified by archaeology or that Golgotha more likely means “place of the skull” or “skull-cap shaped place” than “mount (or hill) of the skull” , or indeed that none of the four Gospels actually mentions the execution took place on a hill; the collective imagination has worked in such a way that the entire sequence of events leading to the crucifixion take place as a procession and orbit around a distinct topographical feature, an isolated hill surmounted by three wooden crosses. This ‘hill’ has been reproduced endlessly, as sacred imagery, 3D models and dioramas, even as actual small hills or calvaries created by the devout as a focus for their devotion. What interests me about this, is that literally forming the bedrock of a key moment in a 2000 year old religion with, currently, 2.2 billion adherents, is a topographic singularity which has developed an immense cultural gravity entirely divorced from any tangible physical reality. So with that in mind, I can’t help thinking how hills, knolls, and tumps potentially play a role in cultural landscapes in more routine ways. Unlike mountains and dramatic isolated rocky outcrops (eg Uluru, Australia or Devils Tower, Wyoming) hills are relatively accessible, they invite approach, ascent and inhabitation. Unlike great eminences, hills are, from later prehistory, possible to engineer. 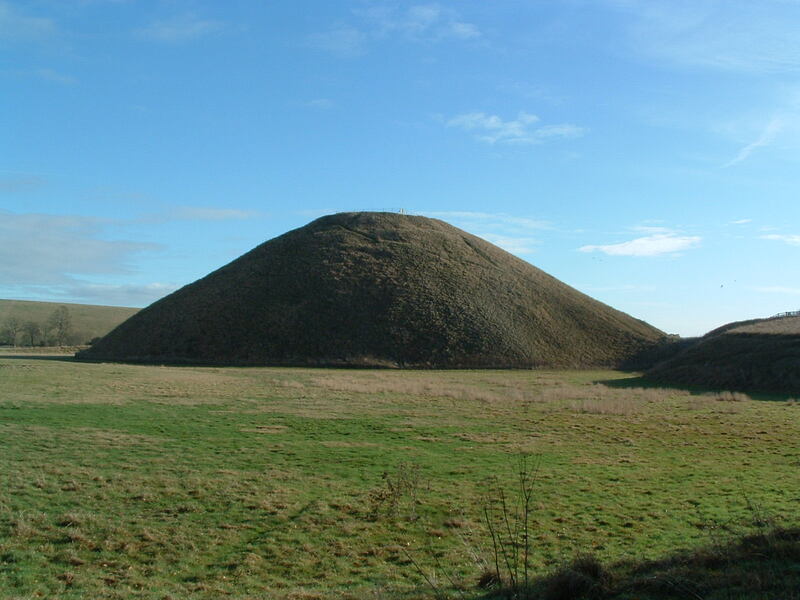 Either by collective long term and (possibly) unconscious endeavour as in Tell mounds or in the creation of monumental ‘hills’ (barrows, larger mound such as Silbury and even pyramids) hills are possible to create. Hills are places which not only form landmarks on the horizon, but can be easily climbed and allow a view of wider horizons, they are scaled and can be contoured to integrate with the human realm, not the Olympian haunt of the Gods but a stage where, potentially, the human landscape and the otherworld overlap. Before we journey into the mythic though, it’s worth considering, in evolutionary terms, what hills offered to mobile, hunter gatherer groups in our evolutionary past, from their earliest dispersal across the old world up the event of more settled ways of life. In new, unknown, landscapes, tracking onto and heading directly for hills offered some distinct advantages. Faced with a horizon where to the north lies mountains, the east unbroken flatness and to the west a single hill, I can guess which direction offered the best survival choice. A hill suggests an isolated geological outcrop, whatever the sub-surface conditions of the plain, the hill will most likely be different. That means different rocks (maybe useful rocks), different soils (maybe nice free draining ones) different vegetation (maybe including good grazing for game) and the possibility of springs at the junction between the outcrop and surrounding geology. The hill also offers shelter and a view, after water and food, perhaps the two most important survival requirements in a new environment. These are facts of geographic reality, which exist independent of human thought and simply come about by the energetic dynamics of the hunter-gather way of life and the distribution of resources in landscapes. What we don’t know is when in our evolutionary journey a hill as a mental concept became sustained in human culture and when, as a result, a hill glimpsed on a distant horizon started to exert a gravitational pull on the group. Archaeologically we can think of ways to approach this but the important thing here is to realise the role this gravitational effect would have on human society and population success once it started to play a role. As a concept it breaks down the subject-object duality between the observer and the topographic feature and sets in train a dynamic that plays out between the two, has implications for how humans organise themselves in space, culturally embed knowledge in landscapes and successfully exploit environments. From later prehistory onwards, hills (natural and man-made) have far less utility as niches for optimal use of landscapes, but are certainly not disregarded. They appear to be richly encultured as addresses for the unseen forces of the spirit world, the stages for heroic episodes in myth or even the direct creations of mythic beings. My local hills were all created when the Devis shovelled out spoil from the Devils Dyke, a deep natural valley, casting huge lumps of chalk here and there creating the distinctive downland summits. In the creation myths of Australia, hills are the chewed and spat out bones of miscreants gobbled up by the Rainbow Serpent. 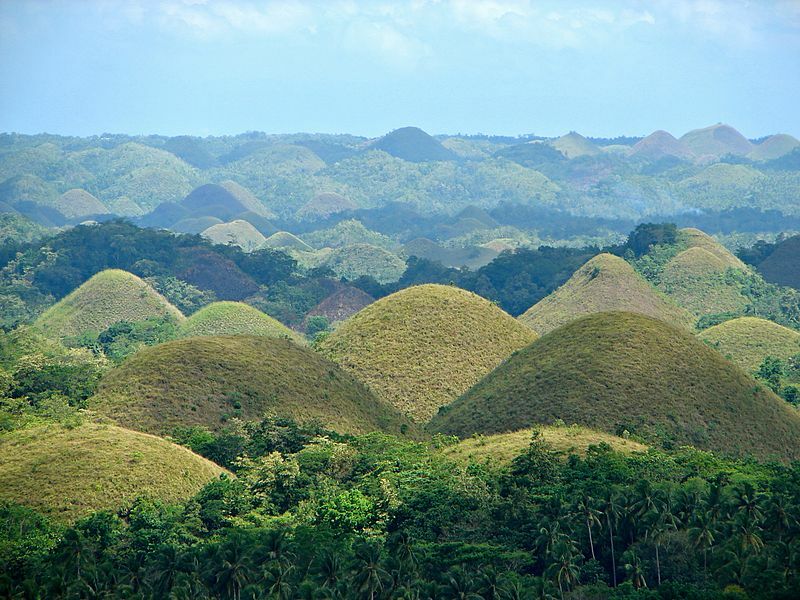 But one of my favourite examples is the Chocolate Hills of Bohol in the Philippines. Four creation myths exist for these wonderful, conical hills. Two giants fought for days hurling rocks at each other until they forgot their feud became friends. 2. A mighty giant called Arogo was heart broken after his true-love died and the hills are his tears. 3. After being poisoned by angry villagers, a giant buffalo who has been rampaging through farms, had an attack of diarrhoea. The hills are the dried remains of this monster’s faeces. 4. An overweight diet extracted all his stomach contents to win the hand of a beautiful woman. The plurality of stories serves to illustrate that the mythic content encoded into these features is irrelevant. What is relevant is that humans seems to habitually do this. 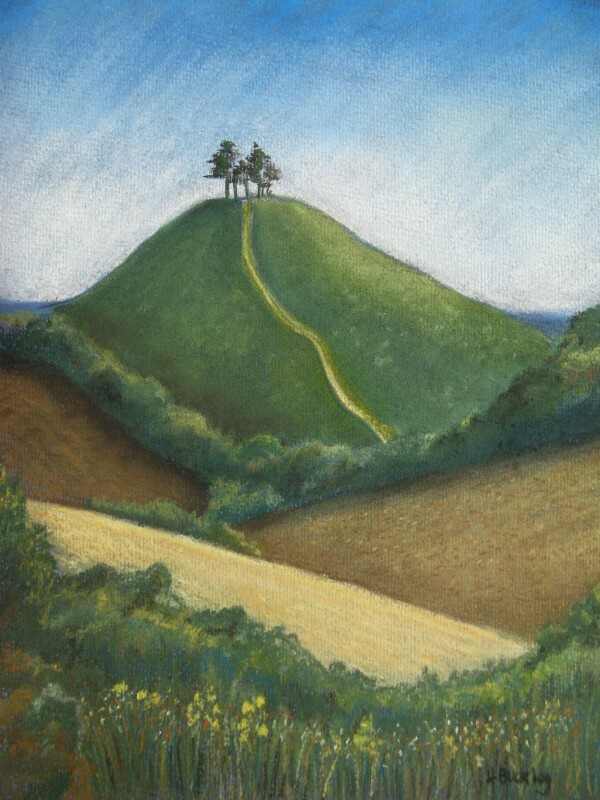 The bare hill at Uffington became the site of a dragon slaying, two hills in County Kerry became the Paps (breasts) of the Goddess Anu, the eminence at Dol, Brittany the site of the battle between St Michael and Satan, while Govarhan Hill was that raised by Krishna to protect the people from Indra. Pick a long inhabited landscape with a distinctive hill within it and there will be myth attached to it. Hills, like the stones of my previous post, offer addresses for the embedding of cultural knowledge. We should be mindful of the role they may have played in past societies and of how we engage with and regard them today. In enjoying and conserving our own landscapes and helping others across the world to keep access to theirs, the deep and fundamental role they play as culturally pivotal, gravitational singularities needs to be considered too. 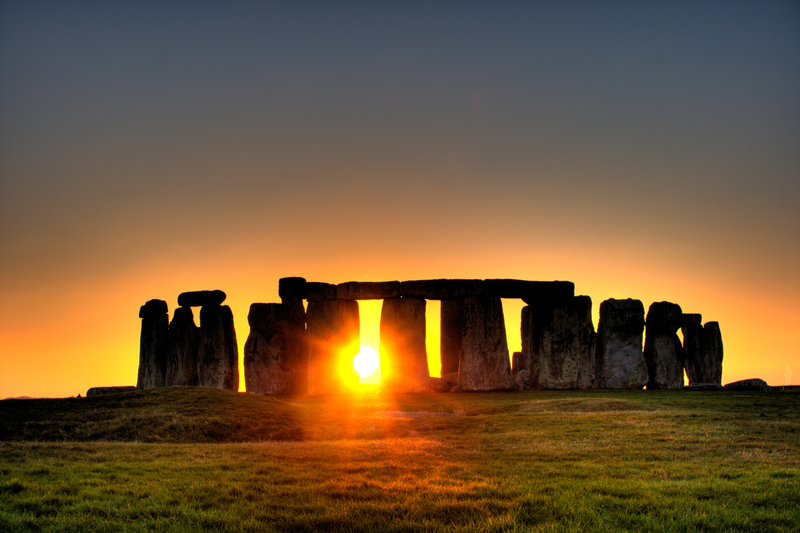 Stones, Blood and Bones: Stonehenge and the politics of the dead. I’m going to keep my thoughts on this short and I’m going to ignore a whole raft of important issues which arise from this (legislation relating to human remains, the level of access to Stonehenge, and changing public perceptions about “Druidry” and its irrelevance to the monument). I’m going to do so because under this issue, one which will continue to face archaeology for many years to come, there lays a very dangerous trap which we could find ourselves in, one which we must very publically and openly address. I want to add my feelings to concerns already articulately raised by Mike Pitts and others on the unfortunate and, I’m sure, unintentional coalencse of neo-pagan and right wing arguments about British Ancestry. You can read an excellent article by Mike Pitts on the matter here and further references are provided at the end. In the calls from the neo-pagan community there is a conscious and potentially powerful alignment with the wider issue for the repatriation and reburial of human remains collected by western institutions during the colonial era. There has been a general consensus for the return of such remains to their place of origin into the hands of cultural groups making often legitimate claims on the return of their “ancestors”. These cases are particular powerful when museum specimens can be traced directly to belong to a named individual or historical continuity can be demonstrated with an original population. While not uncontroversial, most reasonable people can see the logic of the claims and the need to engage in a sympathetic and constructive way. At first glance the claims of some in the British neo-pagan community, holding sincere beliefs in the sanctity of prehistoric human remains, might seem parallel and a process of constructive engagement or discussion appropriate. However, it is critical that before attempting to do so we consider a major implication, opening the door on discussion about the “aboriginal rights” of British citizens to determine the fate of their “ancestors” opens the door on much darker and dangerous false logic. The historical and genetic evidence support the fact that there is indeed a native people of Britain who have a right to this land. We have as much right as the American Indians, Aborigines or Maoris. There were invasions and a small amount of migration but, as has been already stated, these were from people just across the channel. Archaeological studies are being actively woven with real political and social “impact” on the far right. The dry bones of British prehistory had been invoked to make claims of blood-line ethnic descent. Now of course I am not making claims that the neo-pagan community are campaigning on the basis of nationalist or right-wing ideology, although we should consider what role these political beliefs might play on the fringes of the community, but we must take the overlap between the parallels between both groups seriously. According to Mr Pendragon, the bones were the remains of members of the “royal line” or “priest caste” who could have been the “founding fathers of this great nation”. While I don’t for a minute think that this quote is referring to right-wing ideology it is easy to see how such thinking could be high-jacked by the far right. Bloods lines, “castes” and references to the “founding fathers” and the “great nation” sound to me like a recipe for a world view which supports the idea of Britain as unified nation deep into Prehistory (which is wasn’t) and long-lived lines of royal and priestly descent (which there wasn’t). I would hope the neo-pagan community could see these concerns, perhaps modify the language used and publicly distance themselves from those who seek to use the concept of “British Ethnicity” for political ends. These issues addressed then perhaps engagement could continue, until then I feel it carries unintended dangers. This is especially important given how high-profile the focus of the campaign, Stonehenge, is both nationally and internationally. Stonehenge is undoubtedly an icon of our modern national heritage, and is recognised globally, hence the incredible levels of investment we are seeing by English Heritage into the new visitor centre. It has and will continue to be a high profile battle ground for interest groups such as the neo-pagans to argue their case for access, religious, freedom and reburial of human remains. We should therefore consider carefully the implications on even beginning to open the door on the legitimacy of any claims of “ancestor” status for the remains from this site or any other. With the rise of right-wing political movements across Europe we must be very careful how the archaeological record is invoked by minority groups to make modern political claims and understand that concessions for relatively benign causes might give succour to more malevolent causes. Spoilheap 2008 One man and his bog (and the consultation committee). British Archaeology 101, 29. Spoilheap 2010 Who are you calling an ancestor? British Archaeology 110, 4.